Am I the only one who loves to hang out on Zillow to peek inside homes on the market across the country? 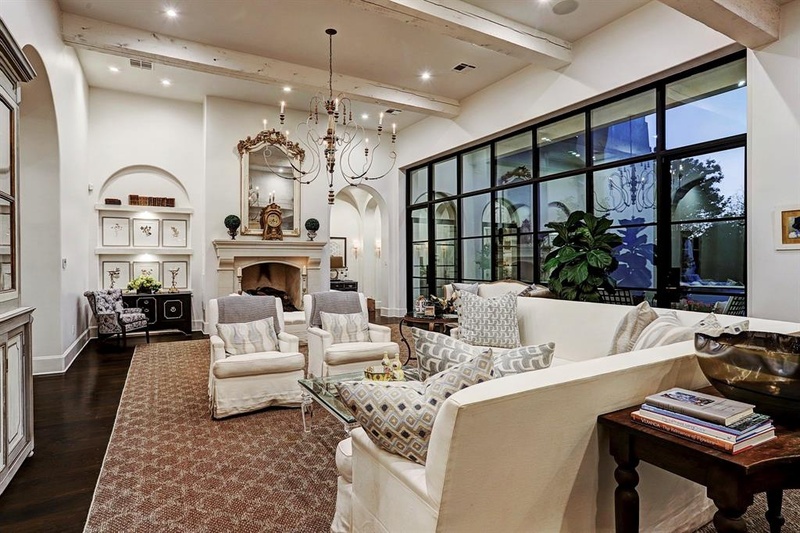 I was awed by the interiors of a couple of beautiful French country style houses, and it got me thinking creatively about how there are plenty of creative, designer, French Country Decorating Ideas from Grand Estates that lovers of country French can apply to their own decor. 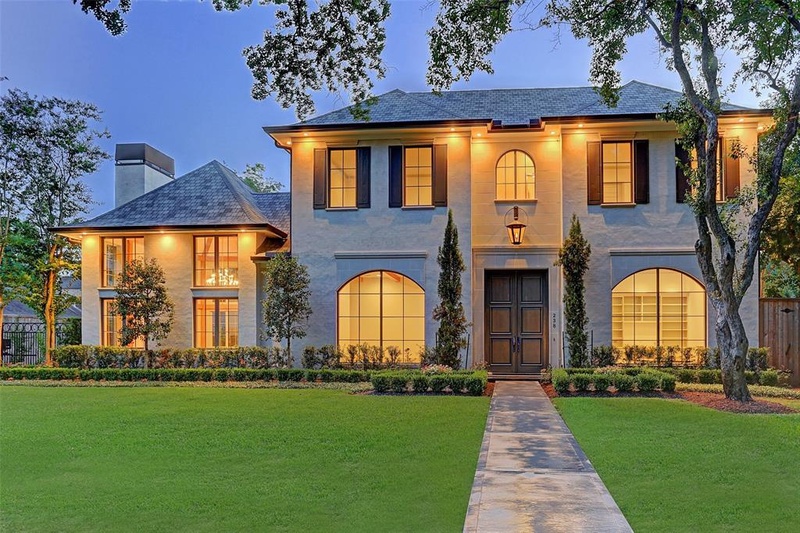 Houston home (renovated in 2013) for sale HERE. Thomas O’Neill Homes. Interior Design Inspiration: Romantic Country French Interiors…certainly lovely indeed! 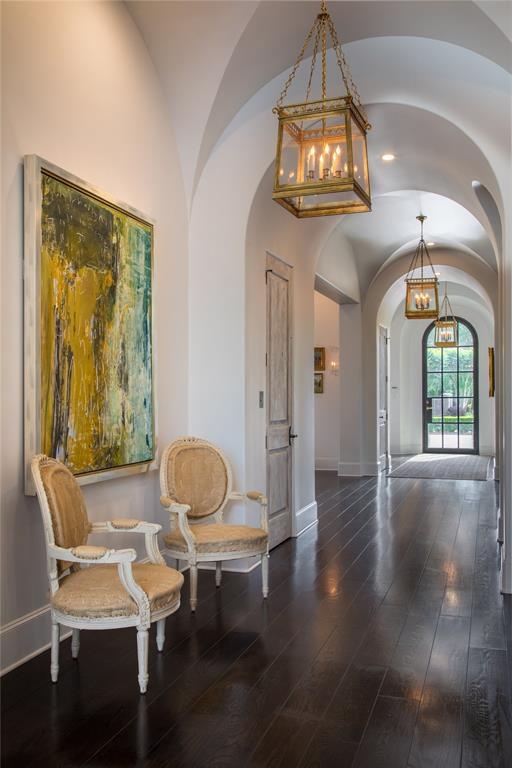 French Country Decorating Ideas from Grand Estates. 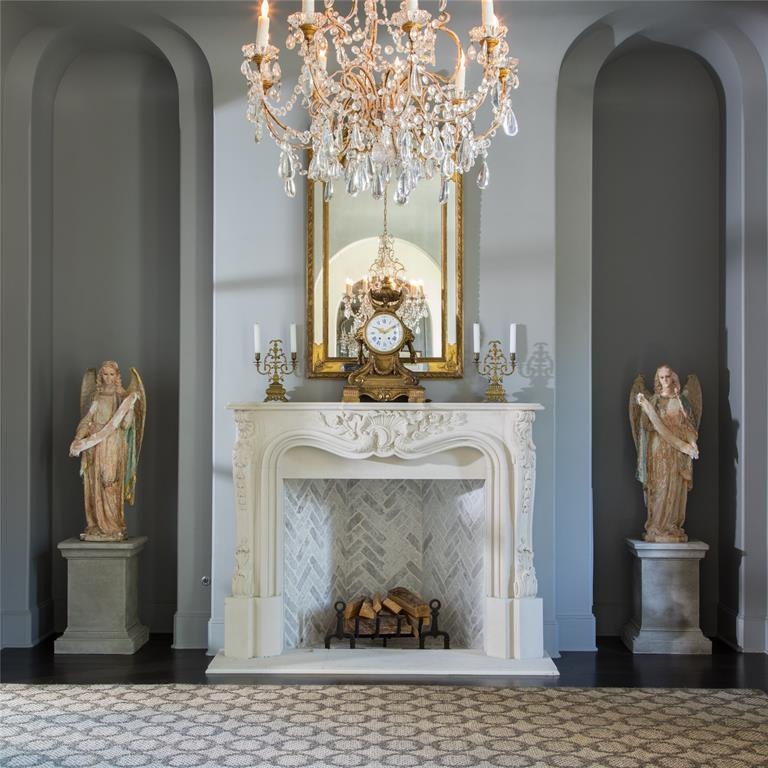 French Country Decorating Ideas from Grand Estates! 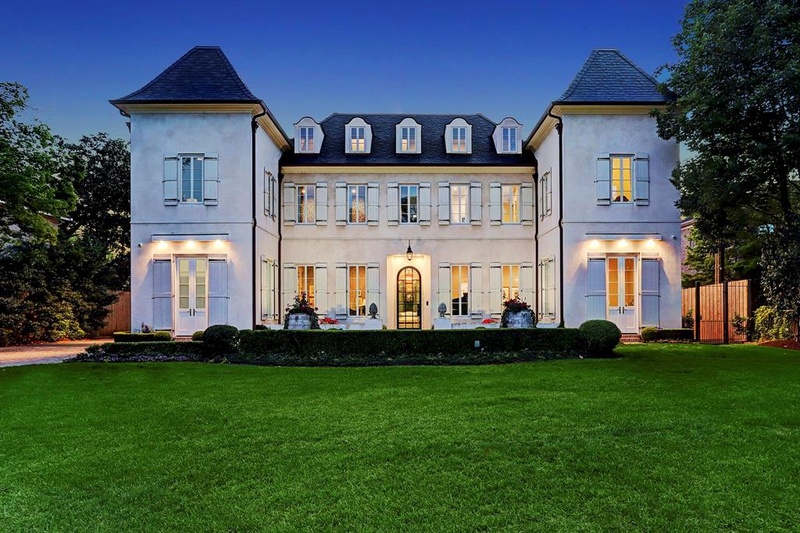 Even if your own European inspired home is half the size of this grand 11,000+ square foot French country home in Houston, rustic wood shutters add so much curb appeal and charm! 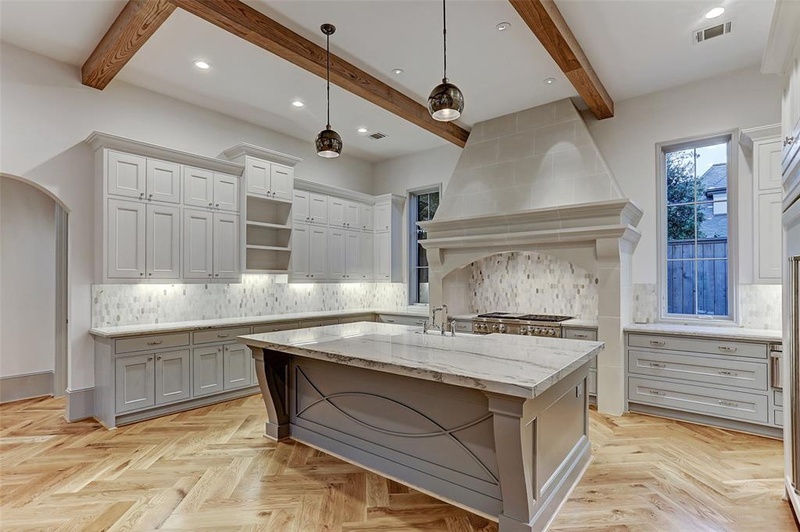 Need ideas for architectural elements and millwork options? See these. 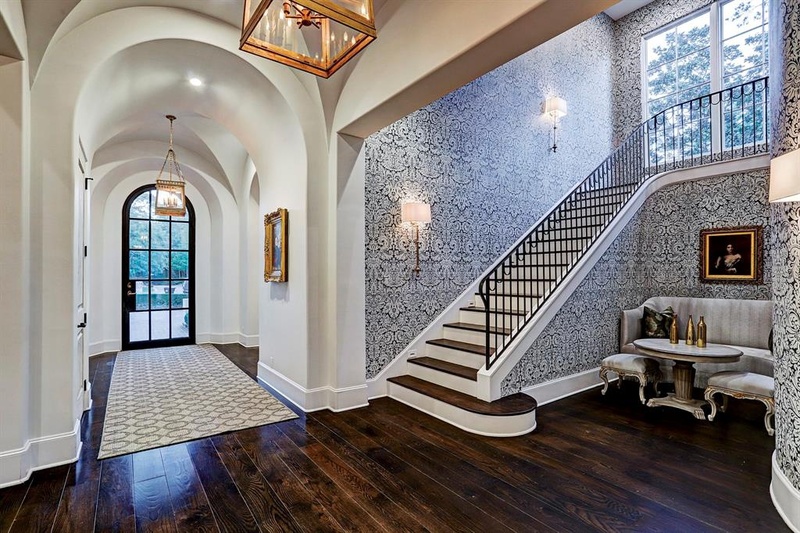 There’s something so elegant and pretty about white painted trim and woodwork, and I especially love the contrast with warm wood floors. Wallpaper: Farrow and Ball Silvergate BP 879. 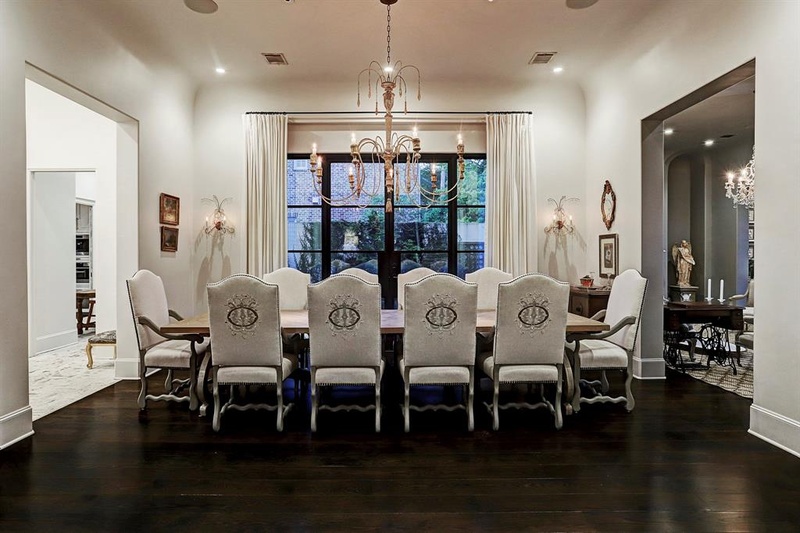 Houston home (renovated in 2013) for sale HERE. Thomas O’Neill Homes. Interior Design Inspiration: Romantic Country French Interiors…certainly lovely indeed! 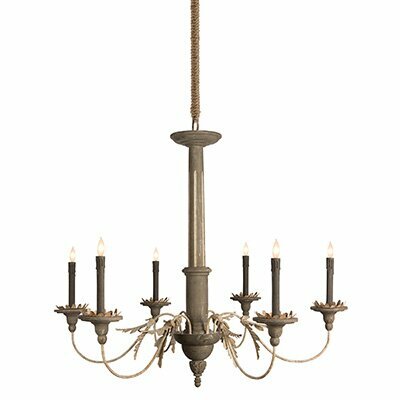 French Country Decorating Ideas from Grand Estates. 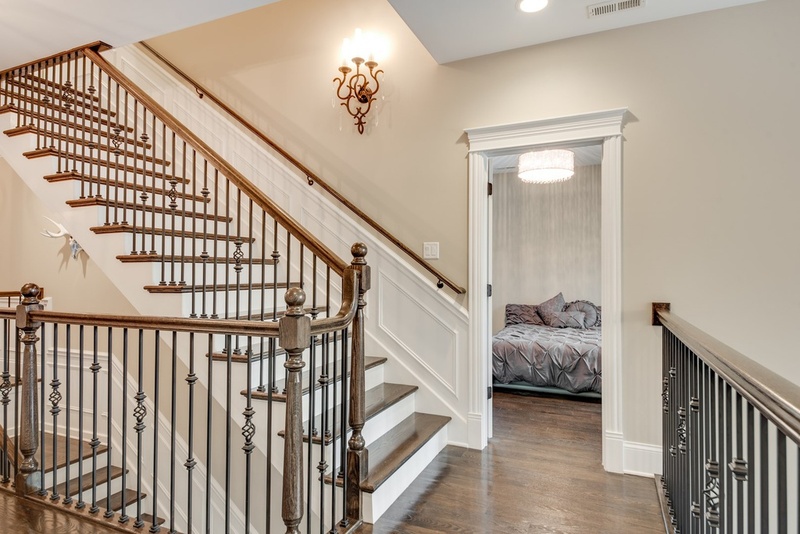 Do you also love the simplicity of this wrought iron staircase railing!?! 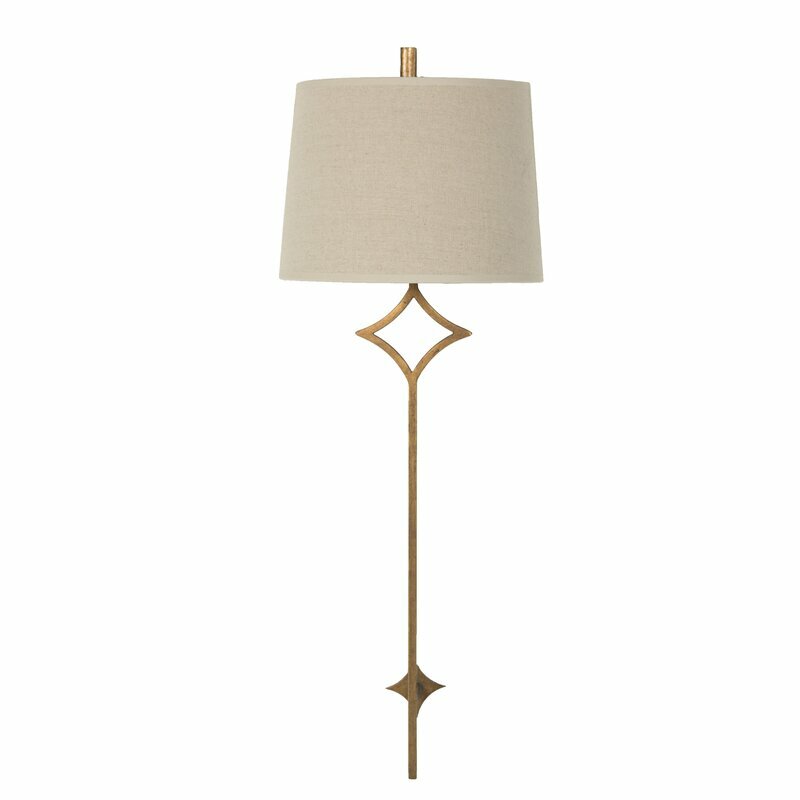 This delicate design appeals to me so much more than fancy wood spindles. Wallpaper: Farrow and Ball Silvergate BP 879. 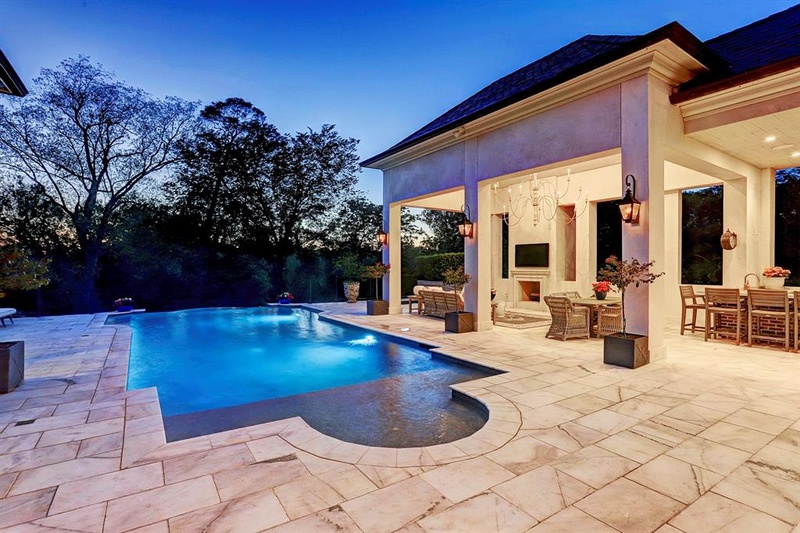 Houston home (renovated in 2013) for sale HERE. Thomas O’Neill Homes. Interior Design Inspiration: Romantic Country French Interiors…certainly lovely indeed! 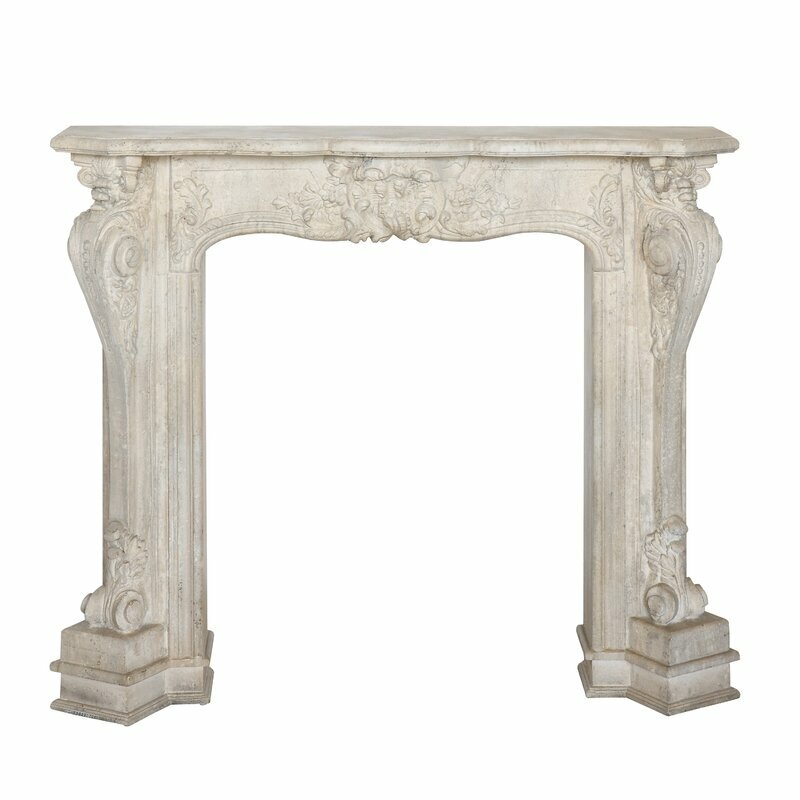 French Country Decorating Ideas from Grand Estates! Need ideas for beautiful wallpaper options? See these! 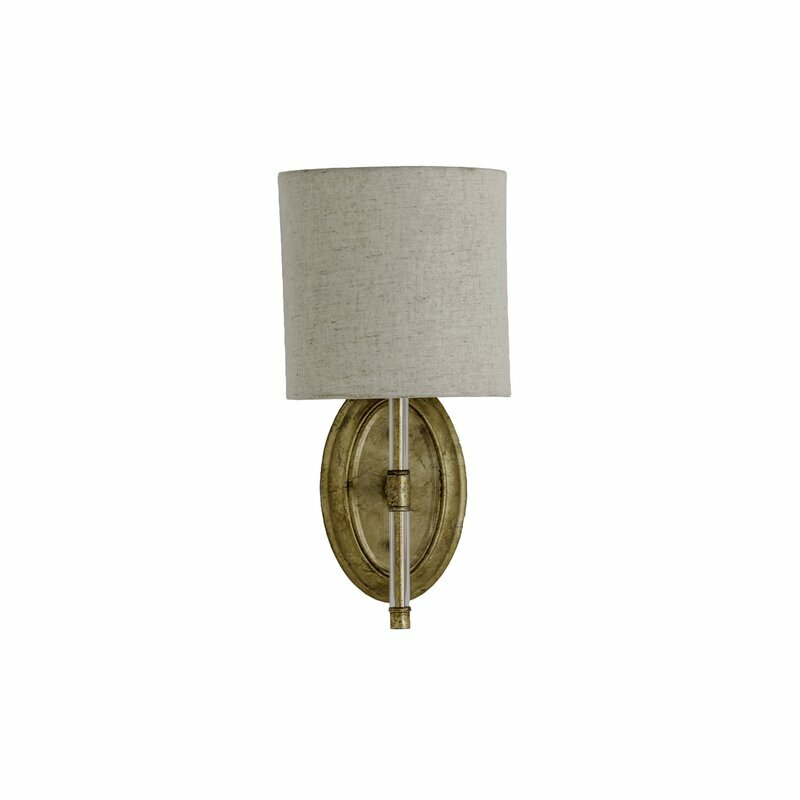 Need ideas for beautiful lantern pendant lights? See options HERE. 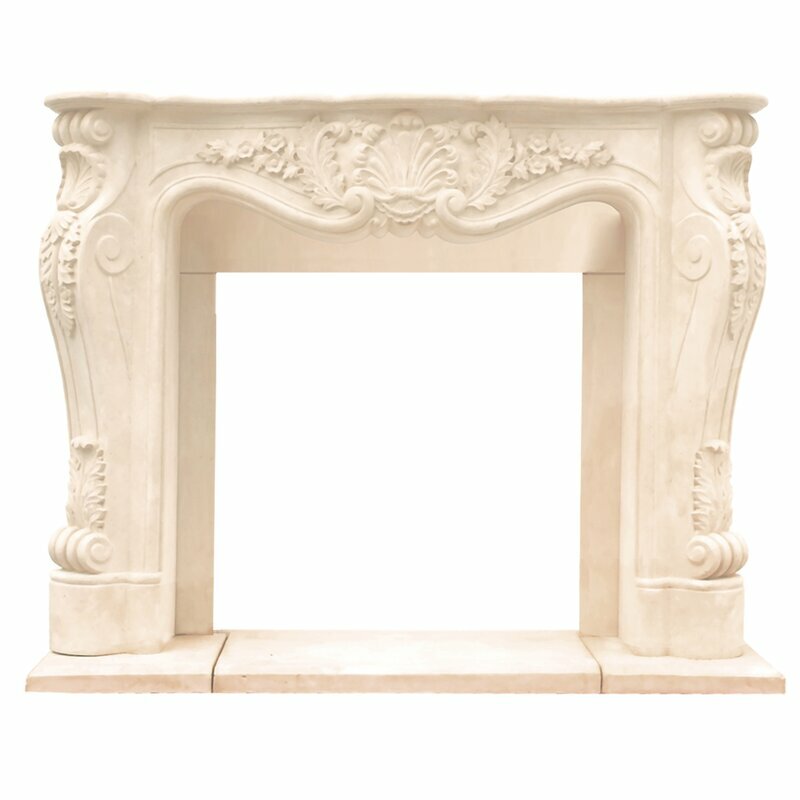 French Country Decorating Idea #5: French Fireplace Surrounds. 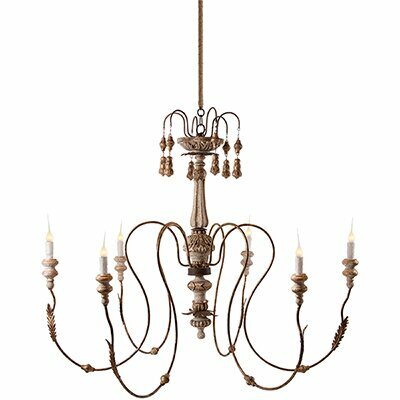 Find more lovely Aidan Gray French Country chandeliers RIGHT HERE. 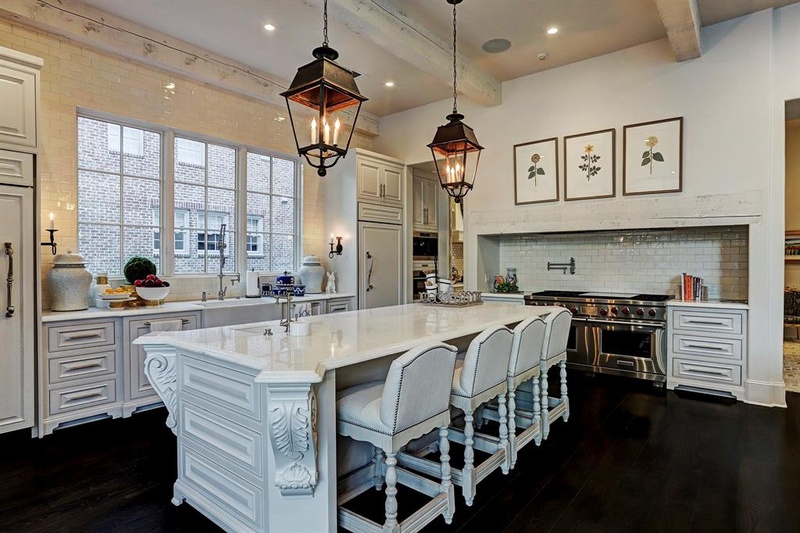 See lovely examples of French Country counter stools RIGHT HERE. 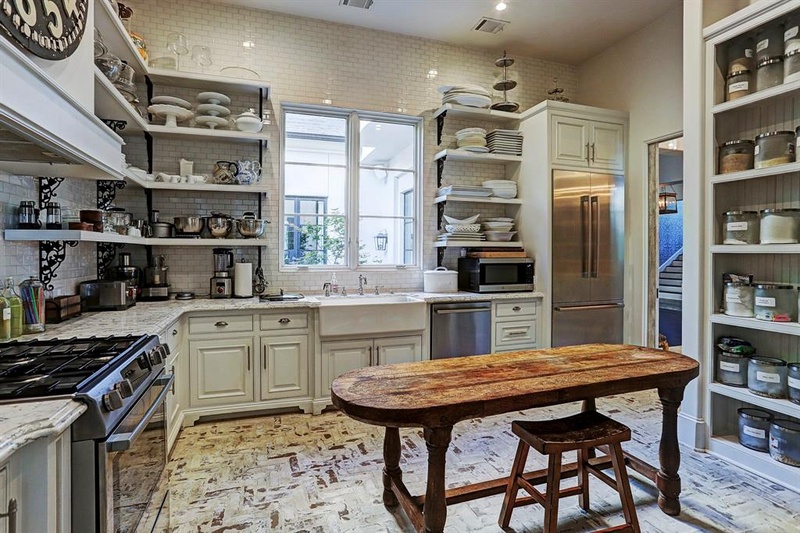 Is this Houston kitchen’s pantry area to die for, or what!?! 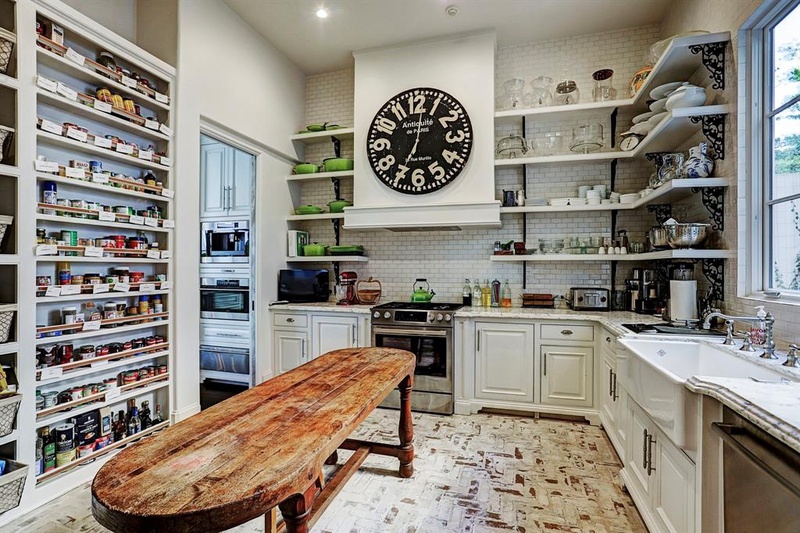 Need ideas for a rustic, French country wall clock? See these. Find ideas for an antique French pastry table HERE. See THIS POST for lovely chair options! 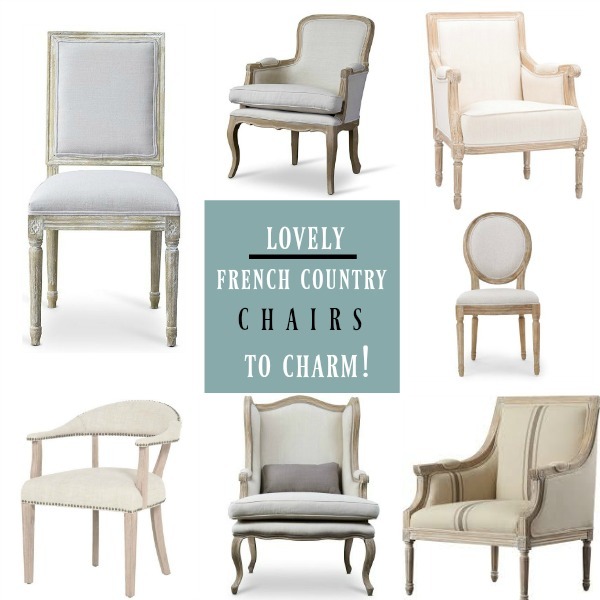 Lovely French Country Chairs to Charm! Find lovely options for a romantic bathtub RIGHT HERE. 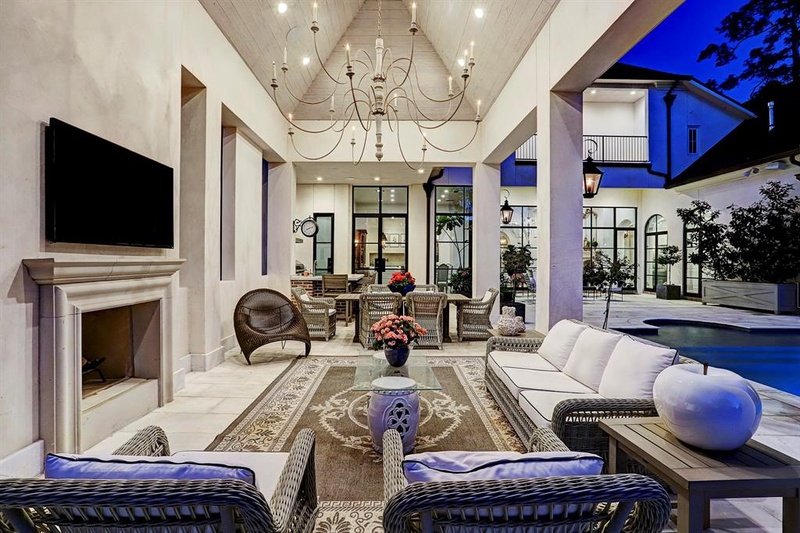 Care to learn about this home’s inside scoop? Let’s peek inside! Wait…do we need to tour a bit more of this French country home? Oui. 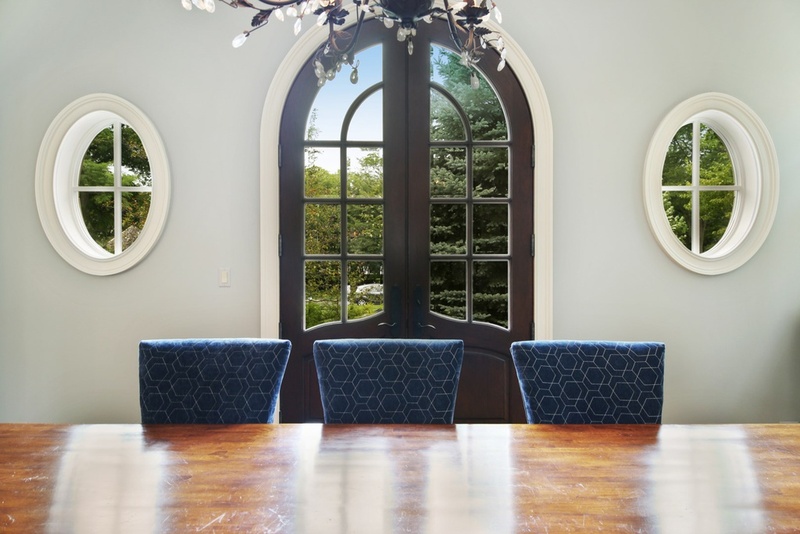 Another glorious home by TOH and more European inspired decorating ideas to steal! 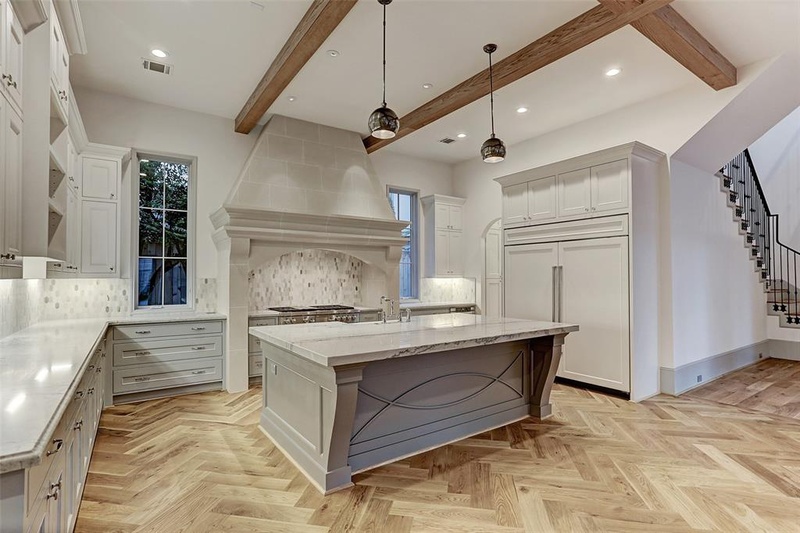 Houston kitchen in home by Thomas O’Neill Homes. Interior Design Inspiration: Romantic Country French Interiors…certainly lovely indeed! 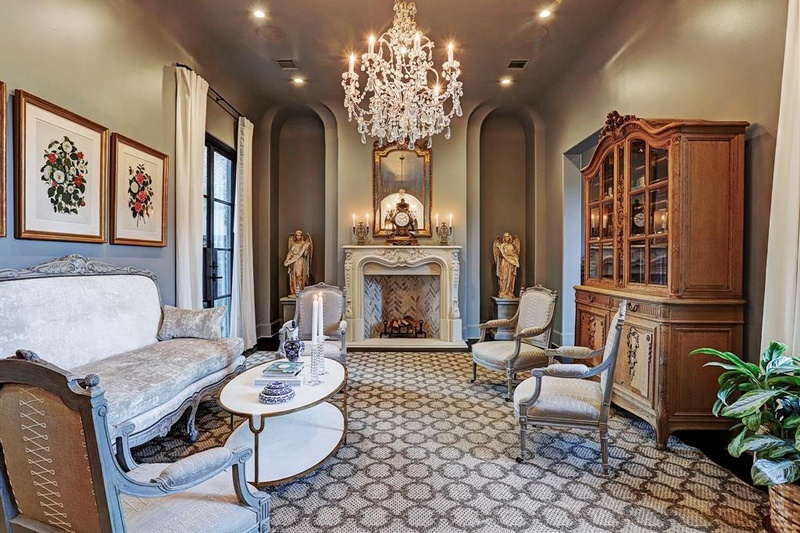 French Country Decorating Ideas from Grand Estates. 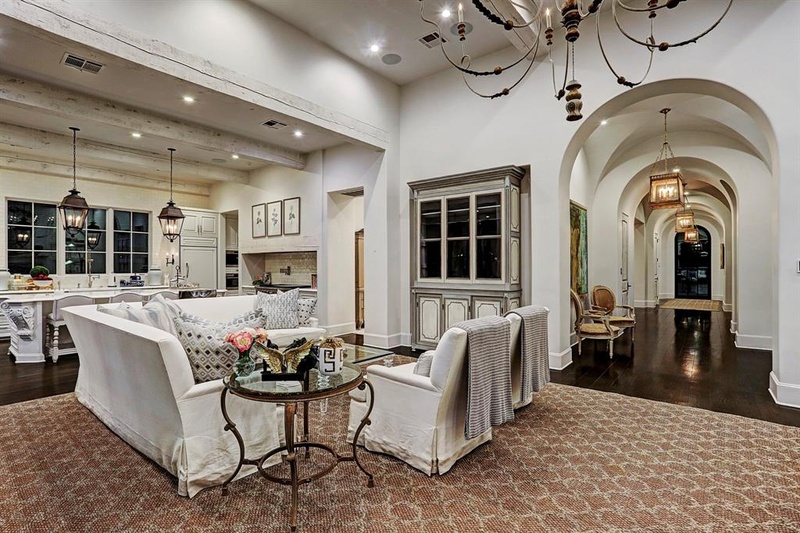 Houston kitchen and living area in home by Thomas O’Neill Homes. Interior Design Inspiration: Romantic Country French Interiors…certainly lovely indeed! 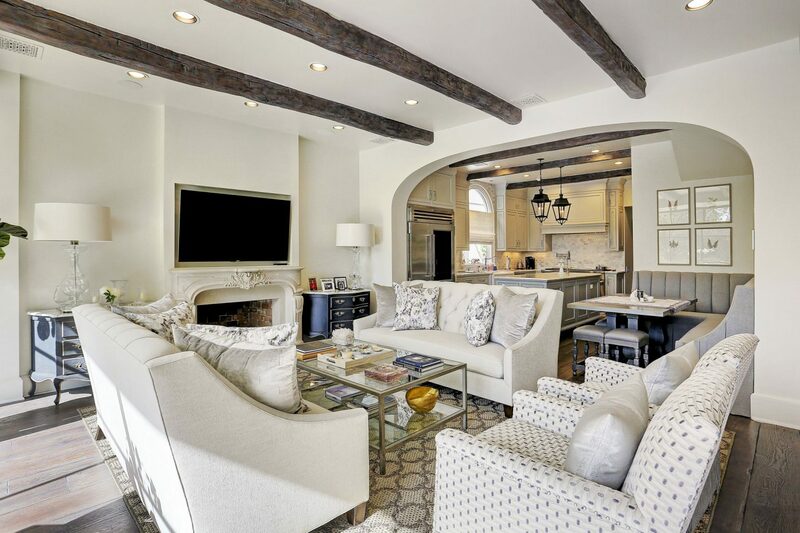 French Country Decorating Ideas from Grand Estates. 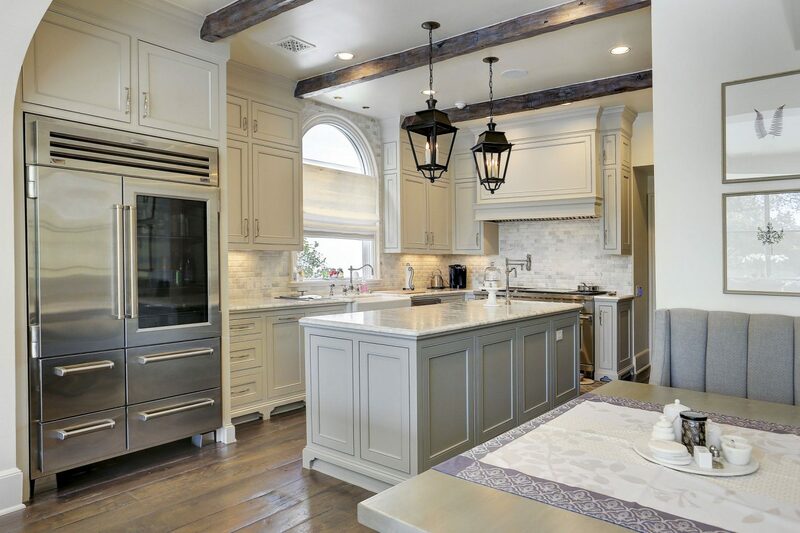 More Light Grey Painted Cabinetry & Trim from Another Houston Home on the Market! 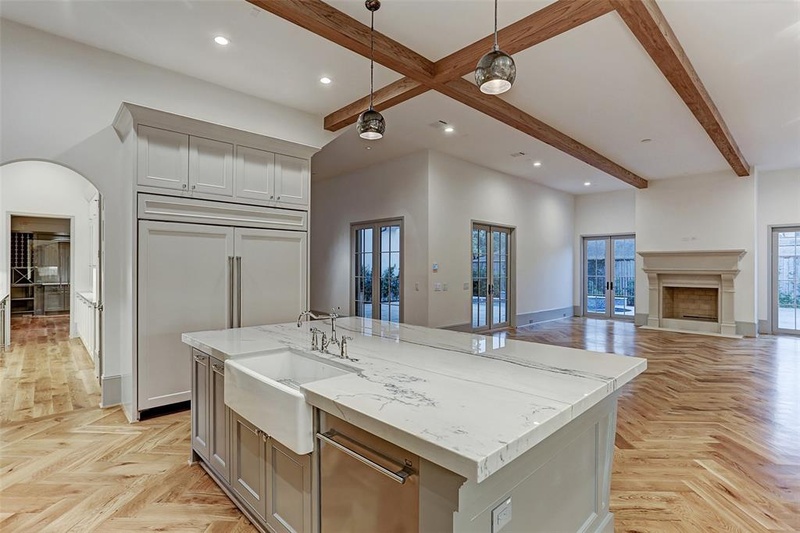 New construction Houston home for sale HERE. 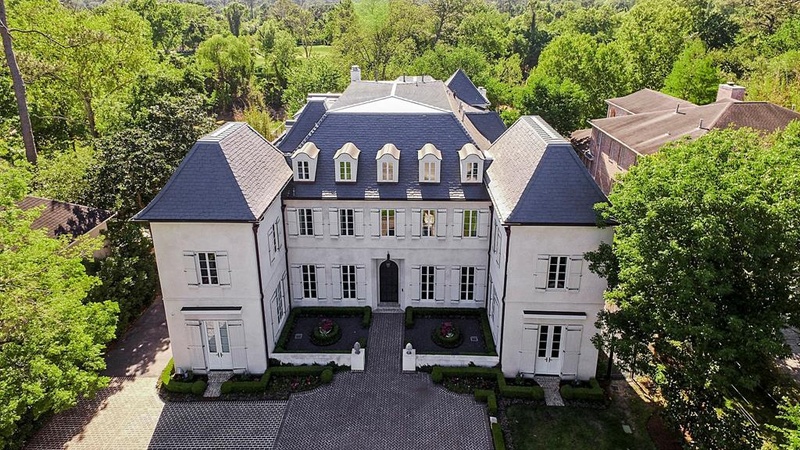 Even if the facade of your next French country home is a little less grand than this one on the market in my neck of the woods, you can study the symmetry of the architecture to learn more about your own preferences. 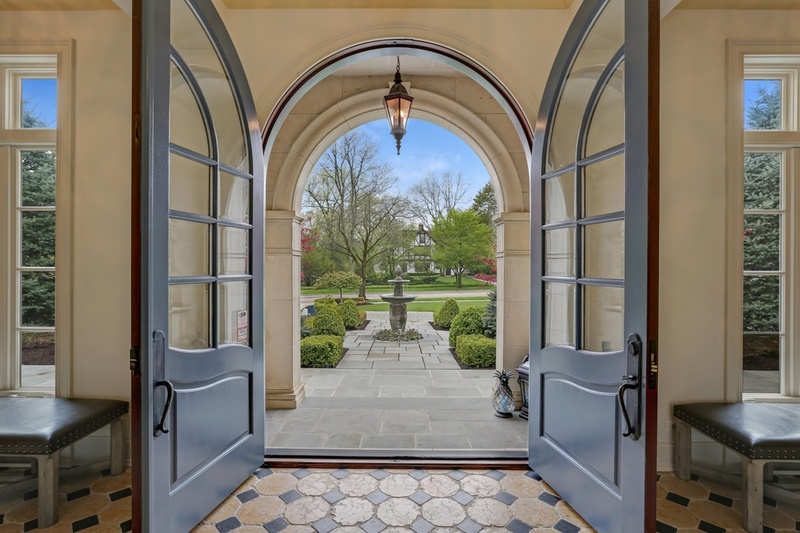 Hinsdale, Illinios manse built in 2006 for sale HERE. 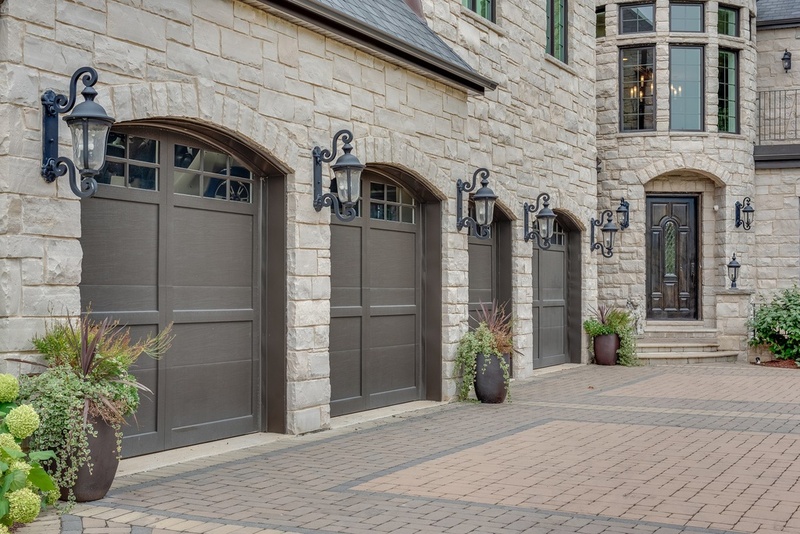 The color of these arched front doors is such a glorious hue with limestone. 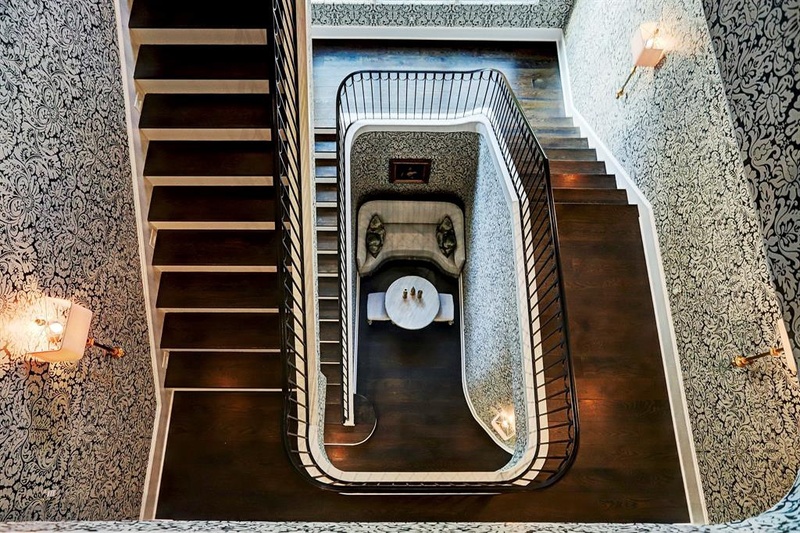 The bathroom walls in this Hinsdale home for sale take my breath away! They remind me of what Charlotte Reiss did with her girls’ bathroom in their French farmhouse RIGHT HERE. 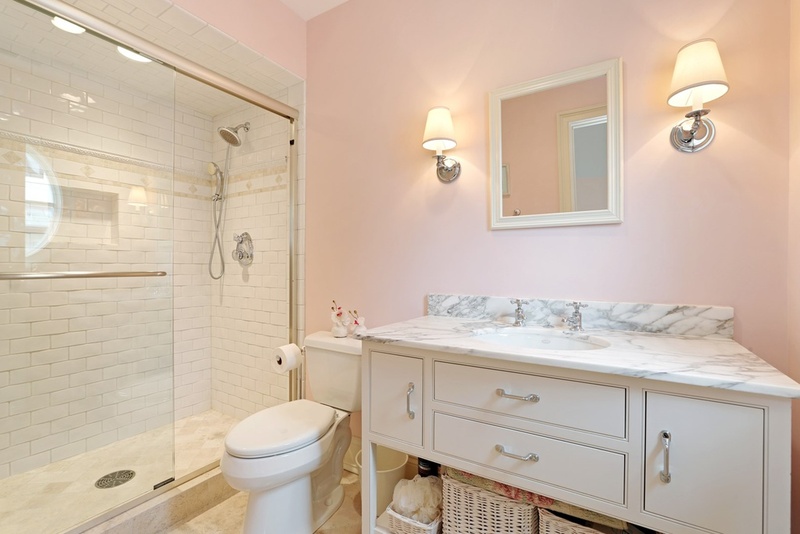 Here’s another pretty French inspired bathroom with a dusty rose pink on the walls. See this Elmhurst, Illinois home for sale HERE. Builder: Island Construction. 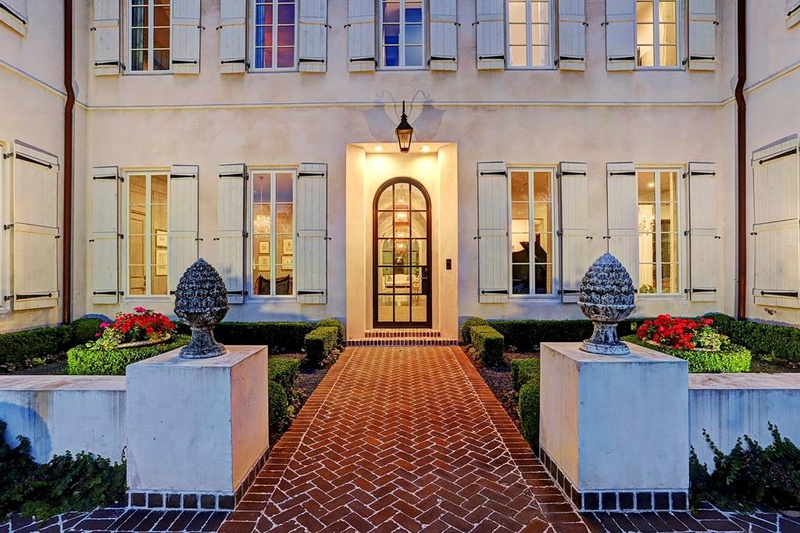 While an English garden is often blooming with various vividly hued flowers and greenery, keeping the palette limited on a French country exterior can certainly heighten the elegance factor. p.s. My folks lived right around the corner from this home for years, and the very first home my husband and I bought and renovated for our family (a 1920’s bungalow) is just a few blocks away! It appears the palette is also very neutral and limited inside as well. Thanks so much for playing along and entertaining these French country decor ideas from beautiful homes on the market! Previous Post 20 Chic ROUND SIDE TABLES to Love! It’s so fun to study grand examples and realize so many of the design elements may be applied to homes of any size at all! Thanks so much for tuning in! Peace to you. Oh my, I need time to collect myself. Just Gorgeous! If I was to list all the details that caught my eye and heart, it would require more space than allotted. It has my heart racing! I’m going to look through again, so I can absorb all the details that make up good French Design. You’re so delightful – thanks so much for playing along! Did you watch any of the videos of the house tour? Amazing! I did Michele! It was wonderful walking through this gorgeous home. A home that dreams are made of. 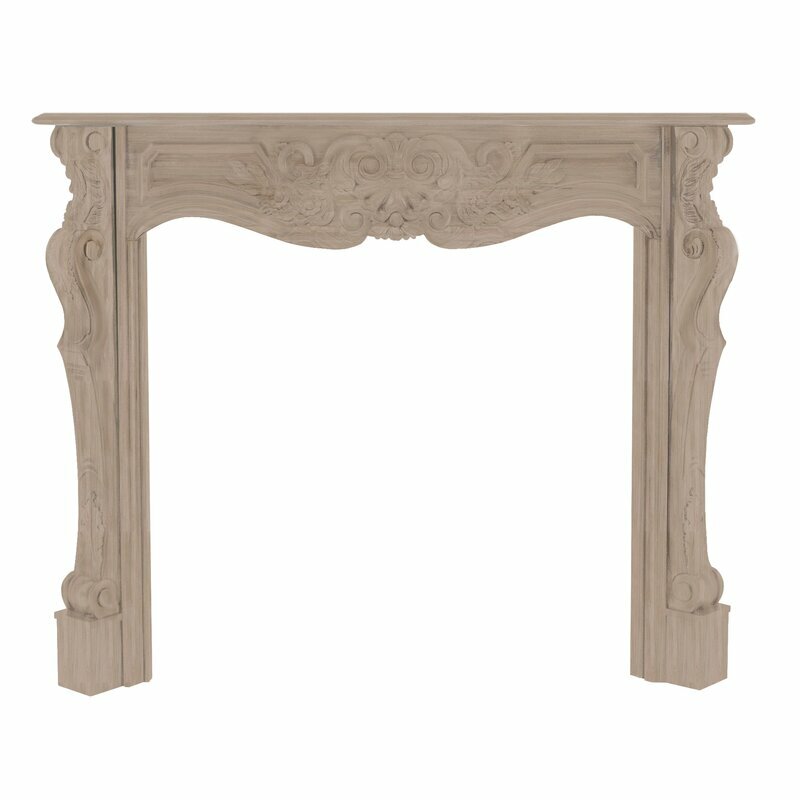 There’s nothing quite like a French country fireplace mantel and a gilded mirror hanging above it! I think it’ll always be in style. 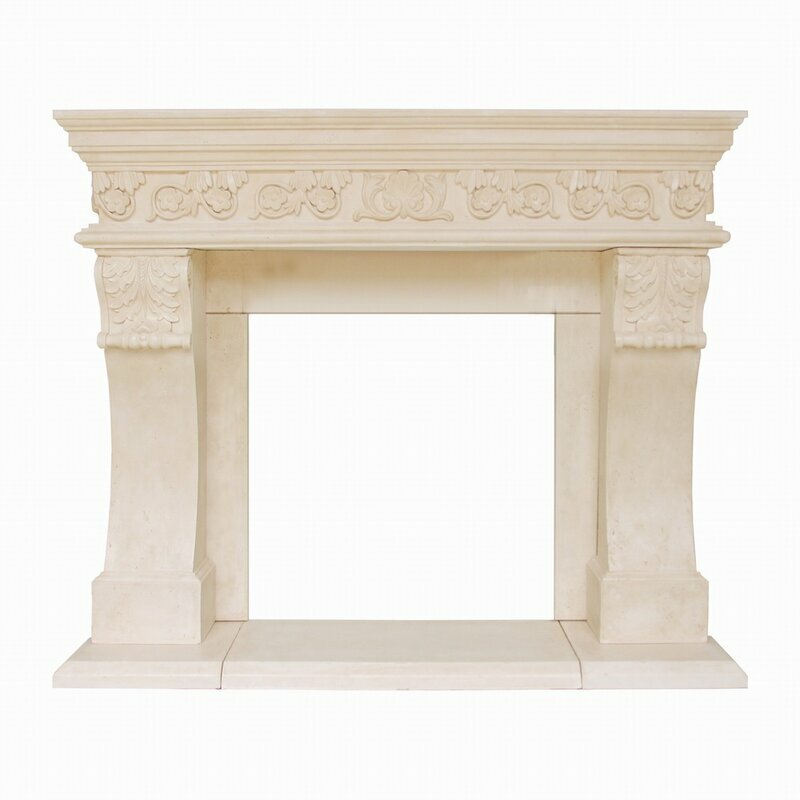 Speaking of fireplaces, it’s going below freezing here tonight. Hope you’re staying warm! I’m warm and toasty in Arizona with my mama! Hope your evening is a cozy lovely one! This post is filled with inspiration. I love each of these beautiful houses. I hope you are staying warm and toasty this winter and are not letting the weather get you down. Thanks so much for stopping, Elizabeth! I’m in Arizona soaking up sunshine at my parents’ home. Perfect weather today and a wonderful break from the frigid temps at home!